Chrissie Wellington – Launch Day! Chrissie Wellington MBE, 4-time Ironman World Champion and World Record Holder, has a new and epic challenge for 2014, this time for charity. Chrissie will be part of a four-person team taking on the well-known ‘Three Peaks Challenge’, but with a twist. They’ll be running up and down the three highest peaks in the UK: Snowdon, Scafell Pike and Ben Nevis; and cycling in-between. That’s 27 miles of mountain running and 450 miles of road cycling, in around 48 hours. 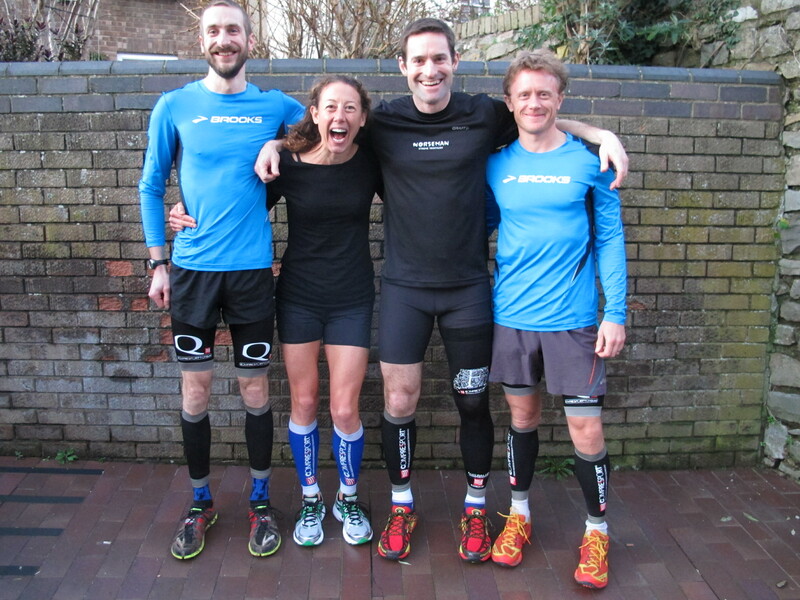 The four Challengers (L-R Marcus Mumford, Chrissie Wellington, Alex Prince and Matt Edwards), all based in Bristol, have a good level of experience in more conventional endurance events, but this challenge is beyond what any of them have done before, and they are all too aware of what it will take to finish; good planning, strong legs and lungs, mental stamina, a comfortable saddle, plenty of cake and a great sense of humour! This is a self-organised fundraising event. The team are doing it for the challenge, for the adventure, for fun, and to raise money and awareness for two exceptional charities: The Rainbow Trust, who support the families of terminally ill children in the UK; and Jole Rider, who run cycling development projects for children in the Gambia. They will embark on the 4321 Challenge on May 2nd.